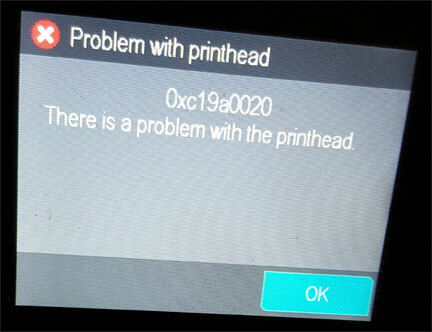 For HP 950, 951 ink cartridge series printer models, the 0xc19a0020 error code (or similar numeric sequence), with accompanying message “Problem with printhead”, represents there is either a printer Ink System Failure, a PRINTHEAD alignment problem or the internal PRINTHEAD has electrically failed. In some cases this error may also be caused by a misplaced smart chip on the refilled ink cartridge; inspect chip for proper alignment (refer to ‘missing or damaged’ errors support page). 1. 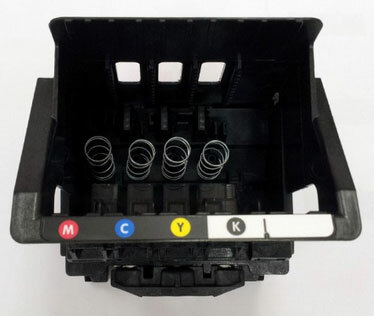 Select PRINTER MAINTENANCE and chose CLEAN PRINTHEAD. Check to see if the print quality test print is generated / successful. 2. 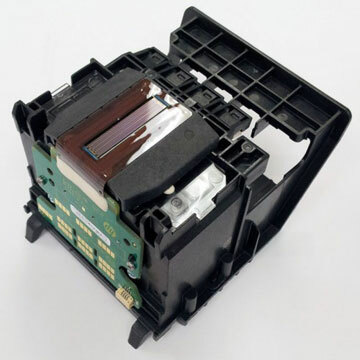 Select ALIGN PRINTHEAD to calibrate the printhead. If successful, then test with a different document (via computer). It is suggested to perform the following steps before you decide on replacing the printhead or obtaining a new/replacement printer.